Ladies Sam Shoe. Leather upper, lining and insole. Sizes 3-8. 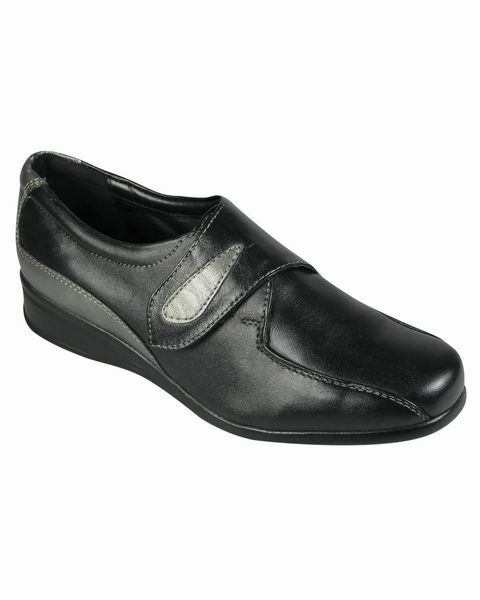 Ladies soft leather shoe with contrast pewter detailing to heel and Velcro strap. Leather upper, lining and insole.